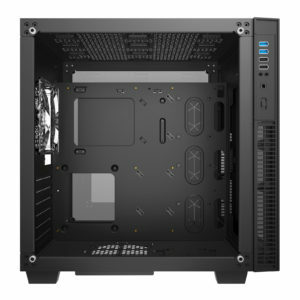 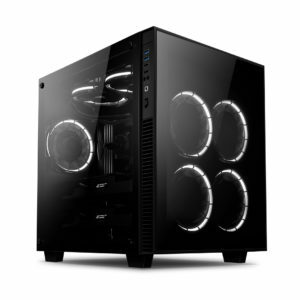 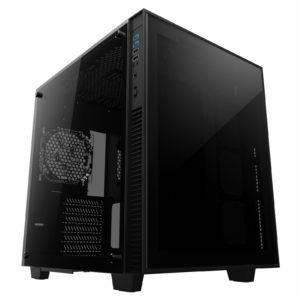 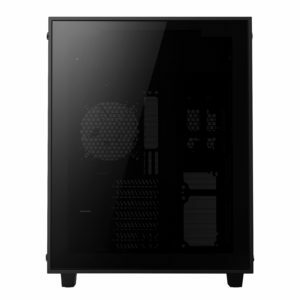 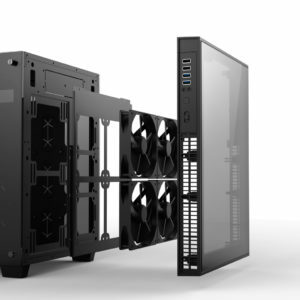 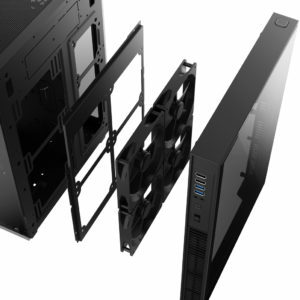 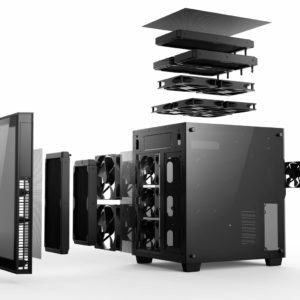 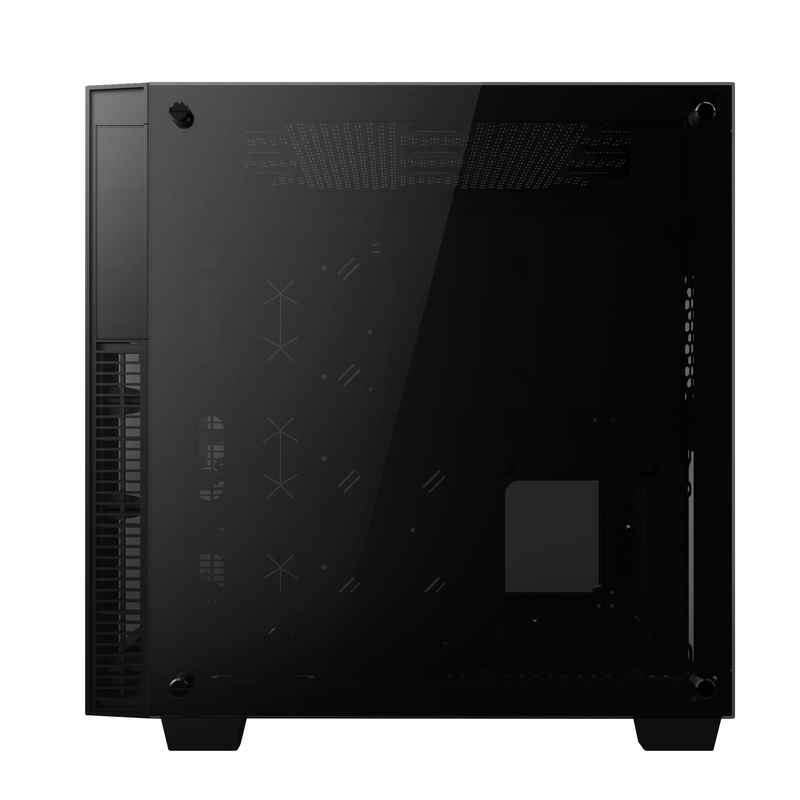 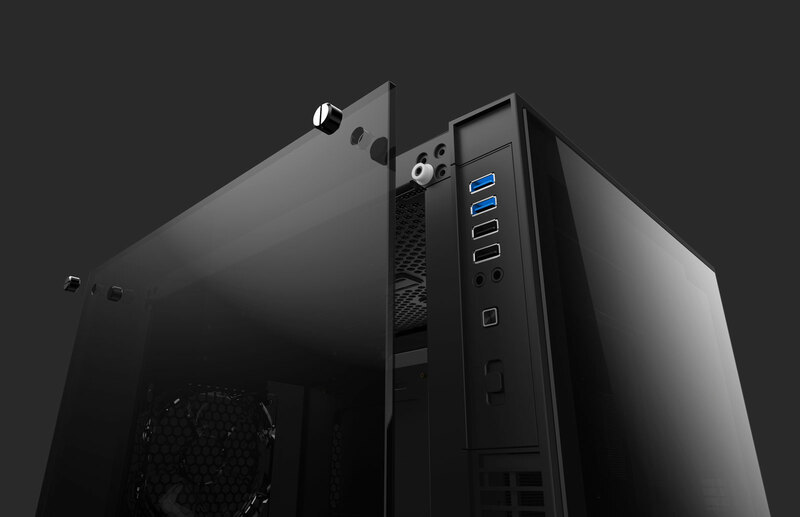 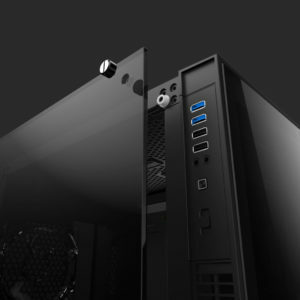 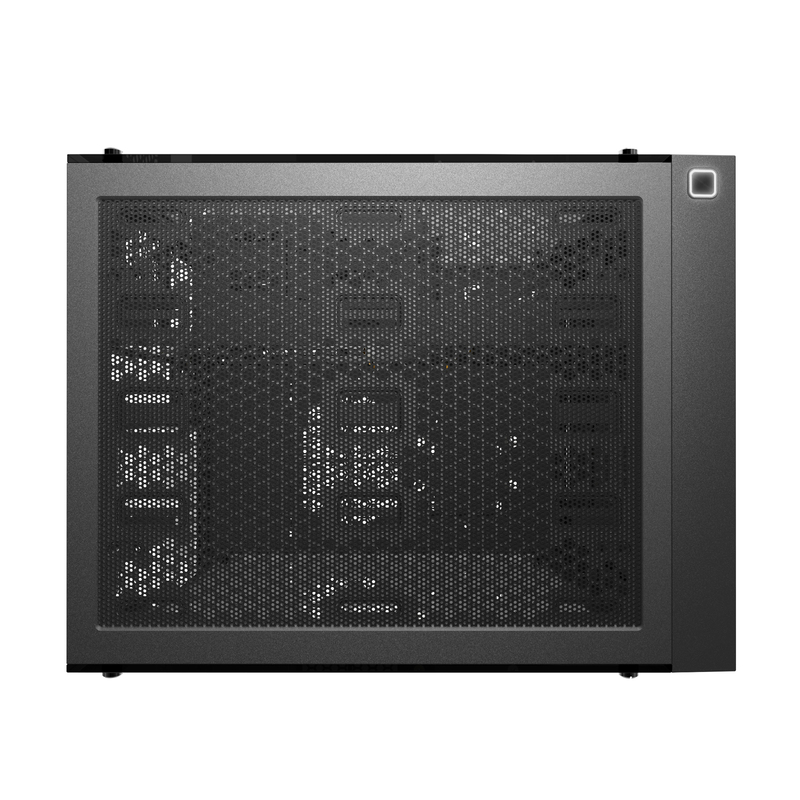 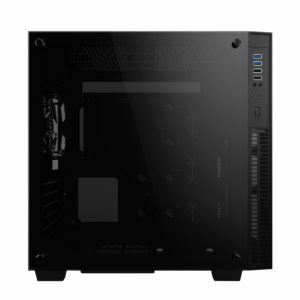 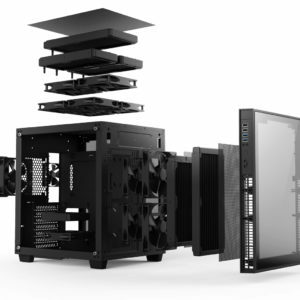 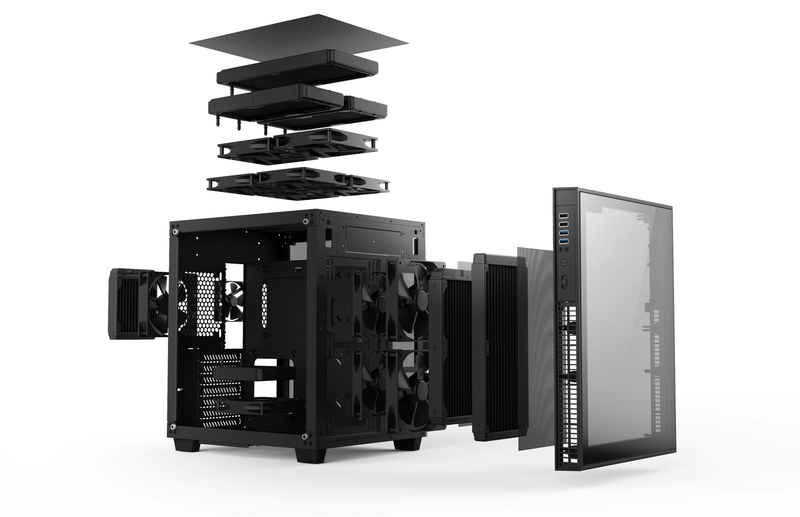 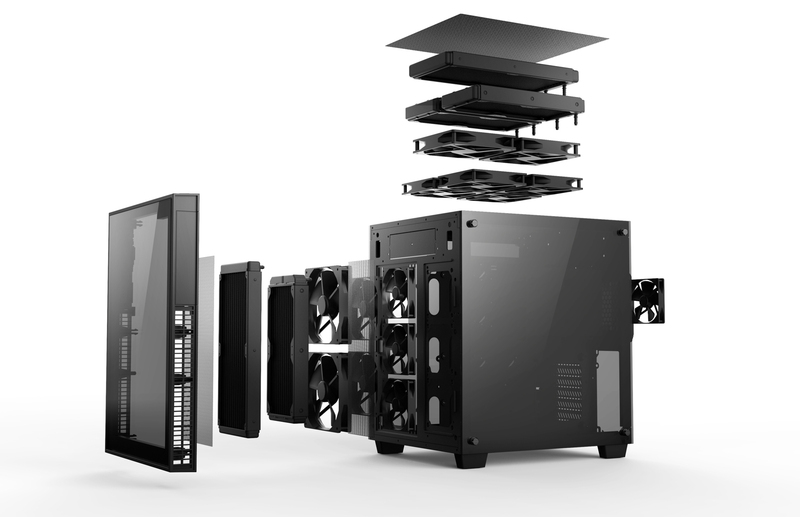 A Dual Chamber Cube Case with Tempered Glass and Ultimate cooling solution. 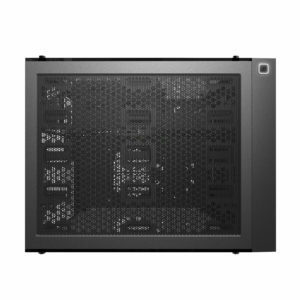 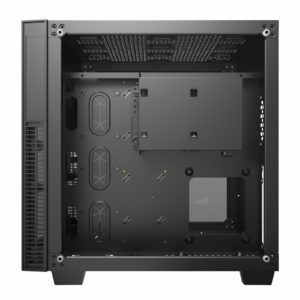 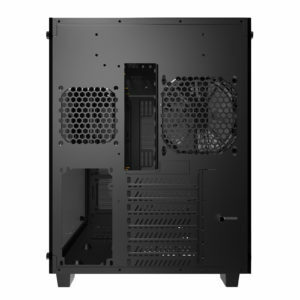 Support E-AT, ATX, m-ATX, mini-ITX MB. 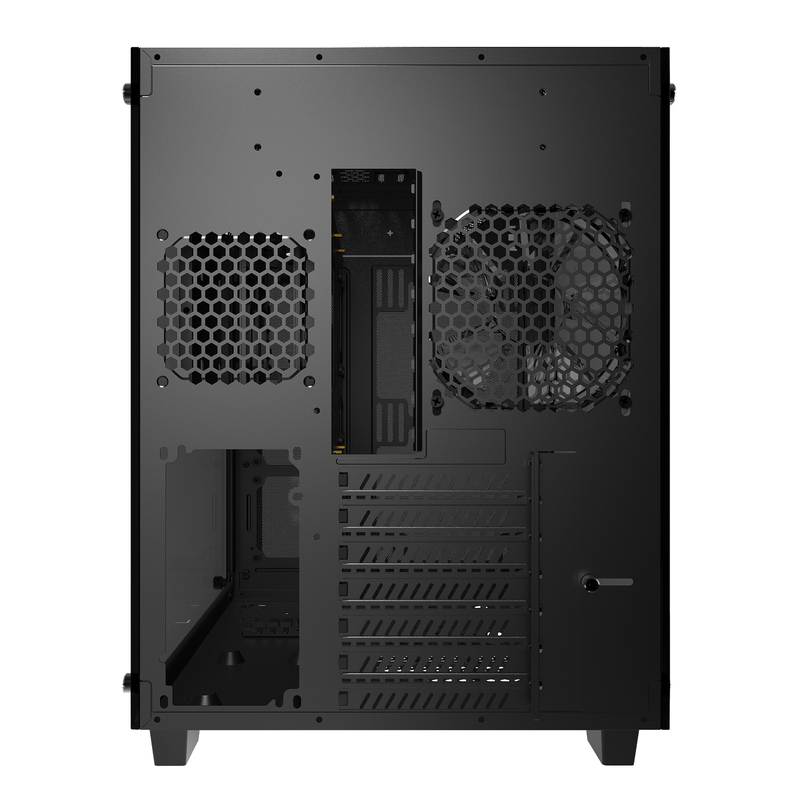 Support 240/280 mm Radiator in the top and front side. 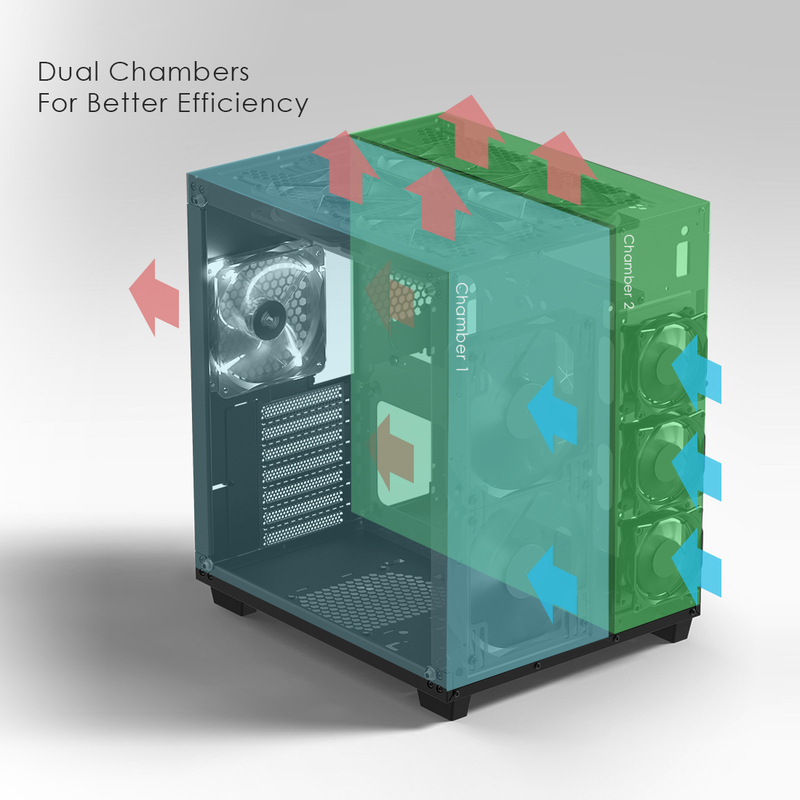 Dual Chamber design for better air flow and cable management. 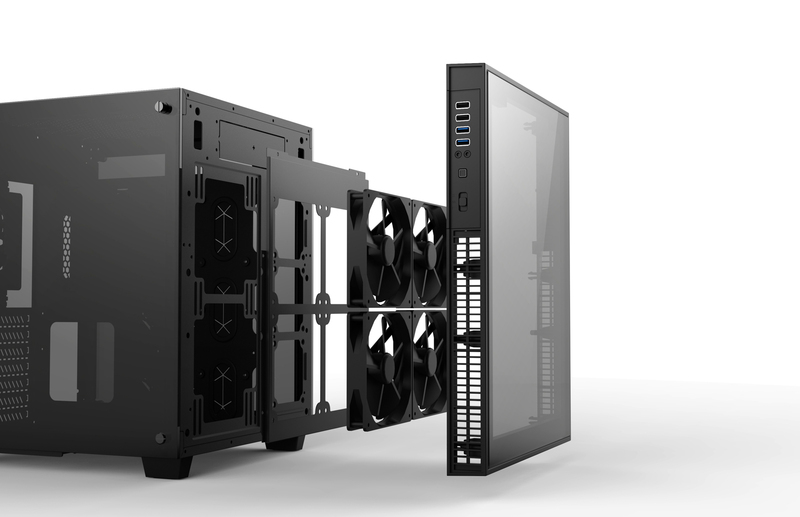 Support Push-Pull Water Cooling Configuration. 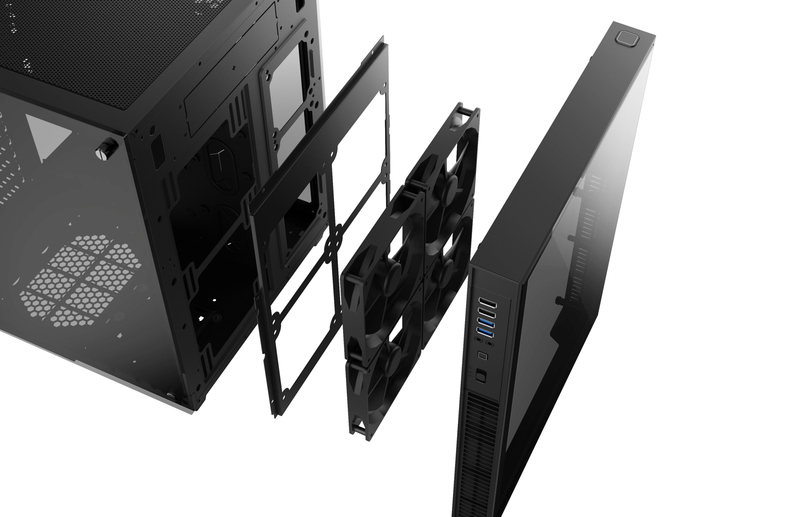 Incldue Front fan bracket for 4 x 120mm Case fan. 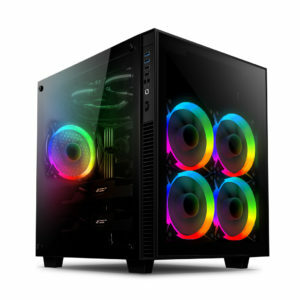 Incldue 5 x 120mm AI-Aureola RGB Fans.